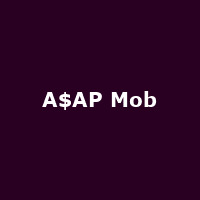 A$AP Mob are an American hip hop collective from New York formed in 2006 by A$AP Yams, A$AP Bari, and A$AP Illz, with A$AP Rocky joining later. They released their debut album, "Cozy Tapes Vol. 1: Friends" in 2016, followed by 2017's: "Cozy Tapes Vol. 2: Too Cozy".